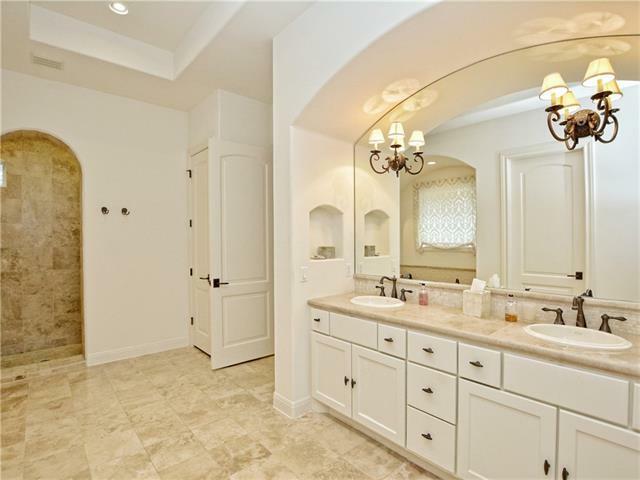 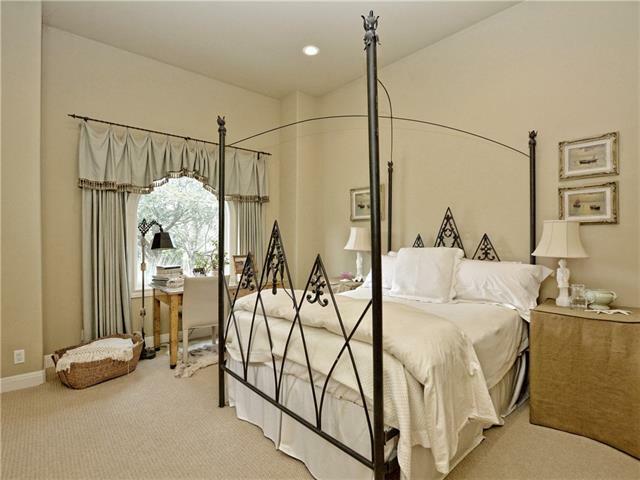 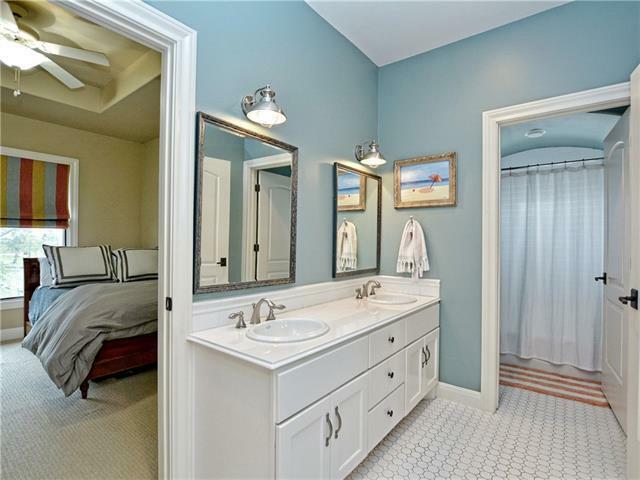 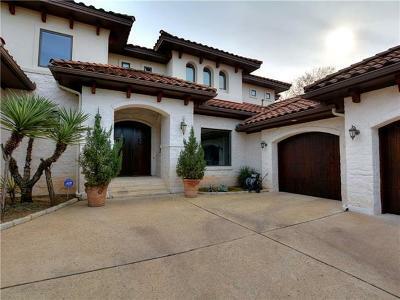 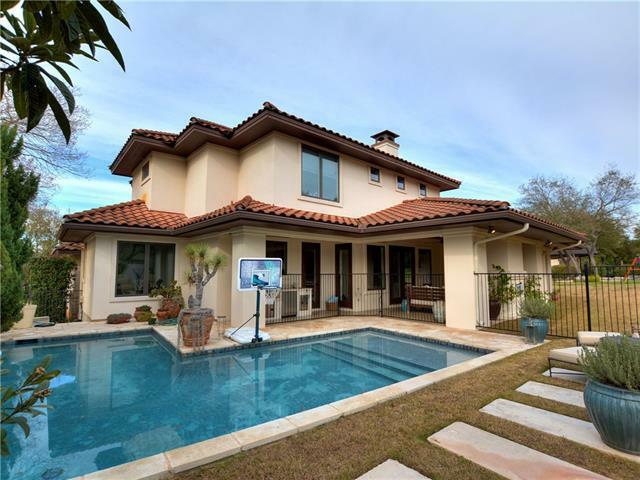 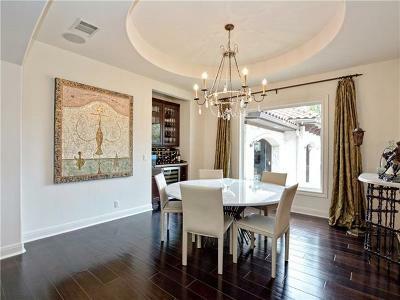 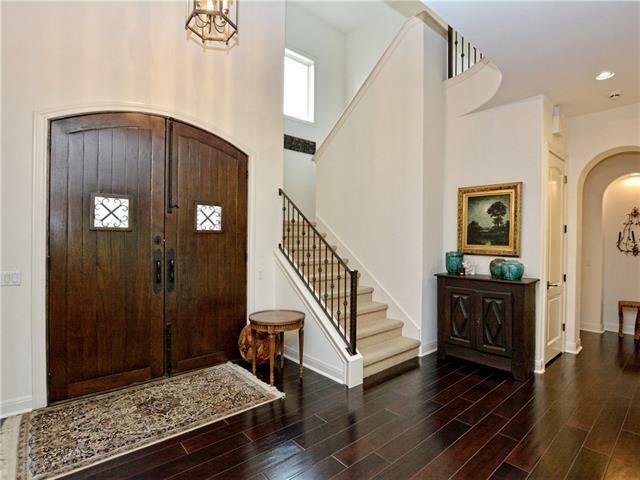 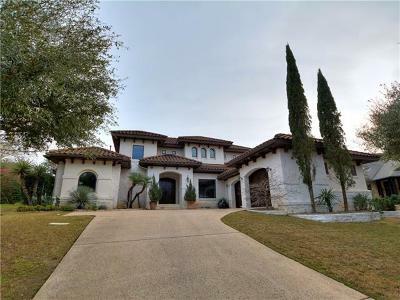 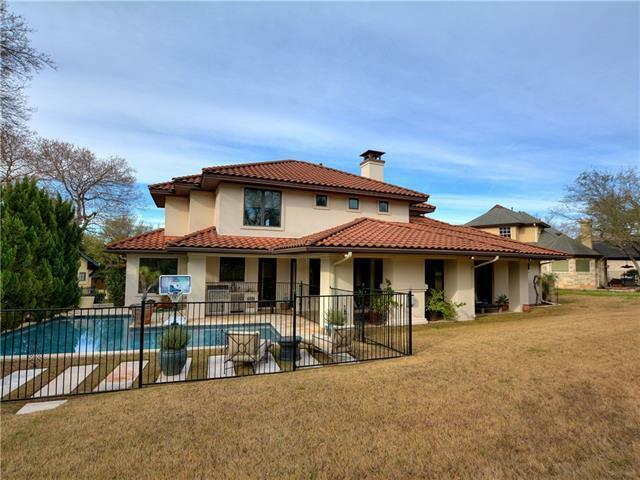 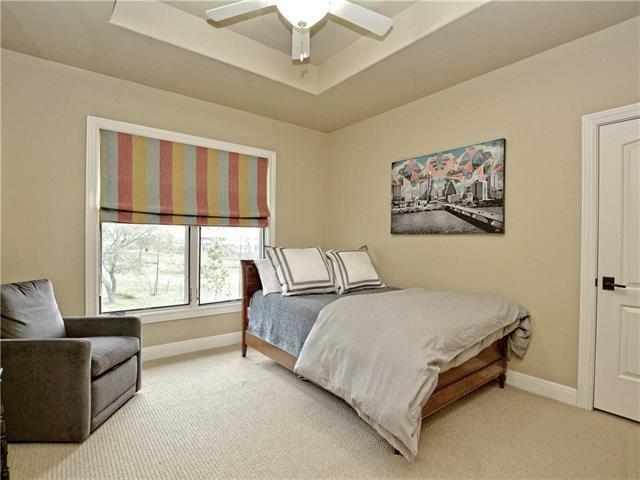 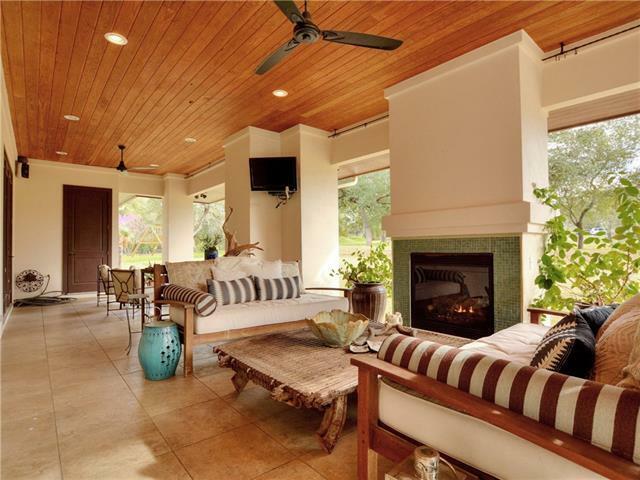 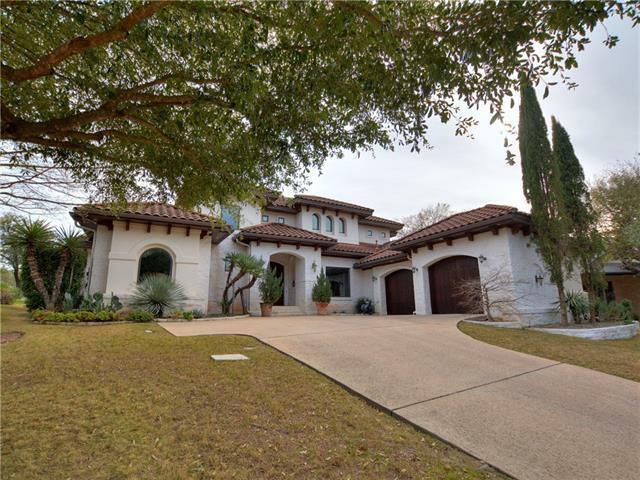 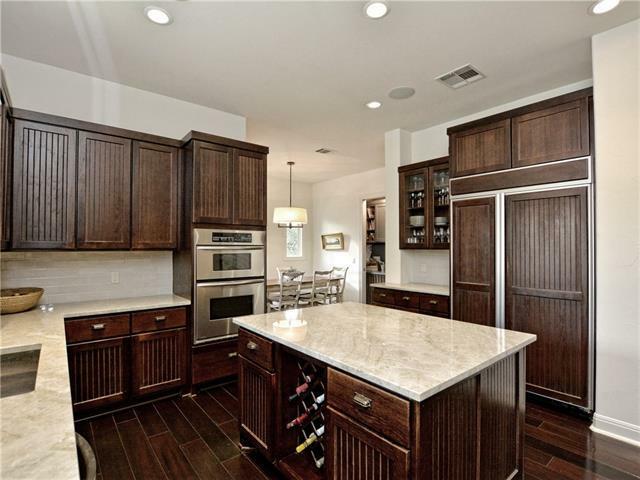 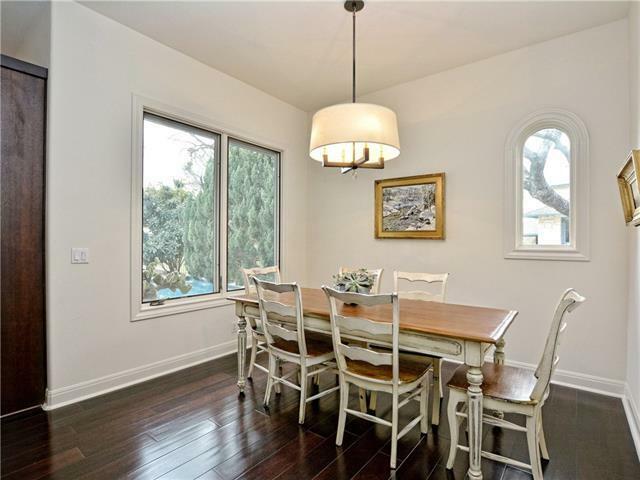 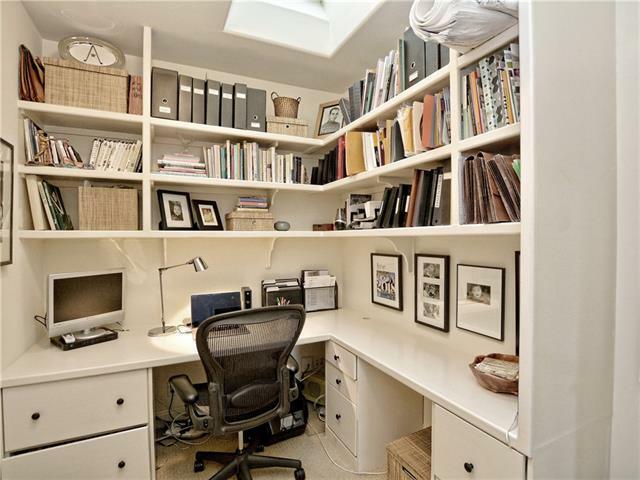 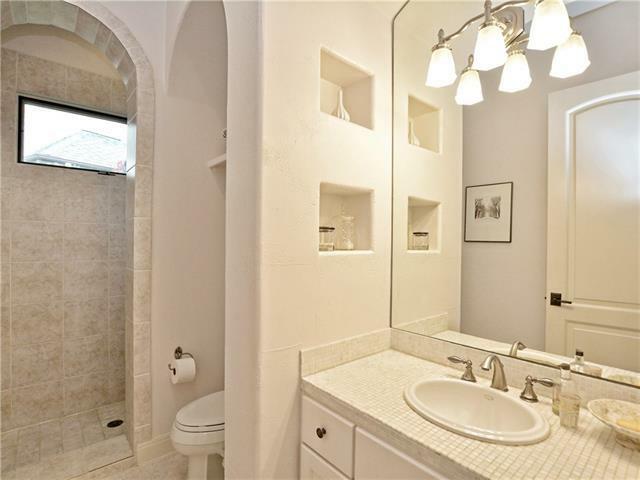 Santa Barbara style home in a coveted gated community within walking distance to two private schools. 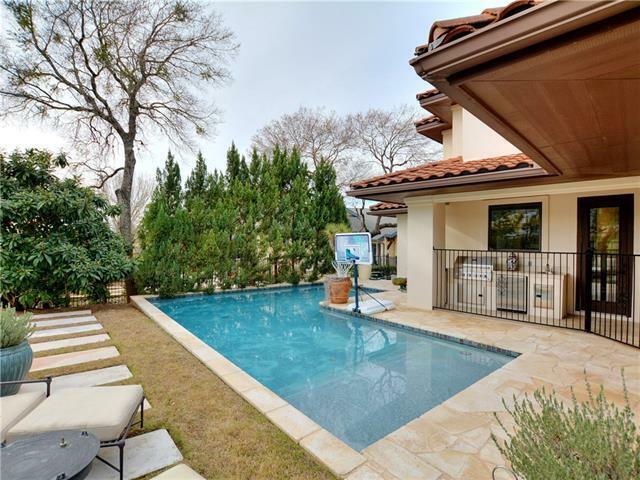 Wonderful backyard setting with covered outdoor Living Room, Fireplace & outdoor Kitchen/Grill. 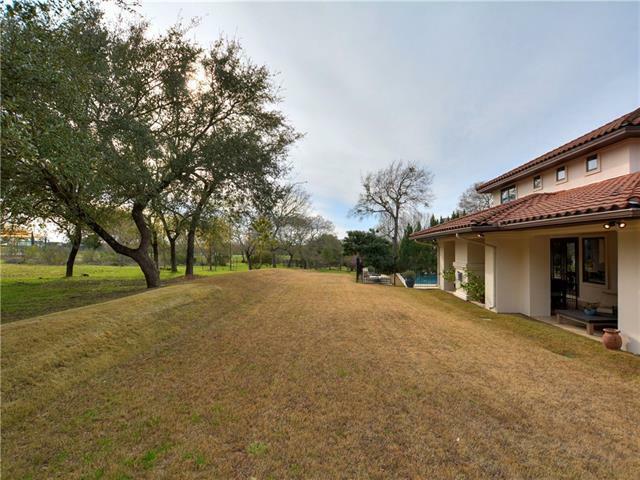 Swimming Pool with backyard opening up to a 5 acre green space. 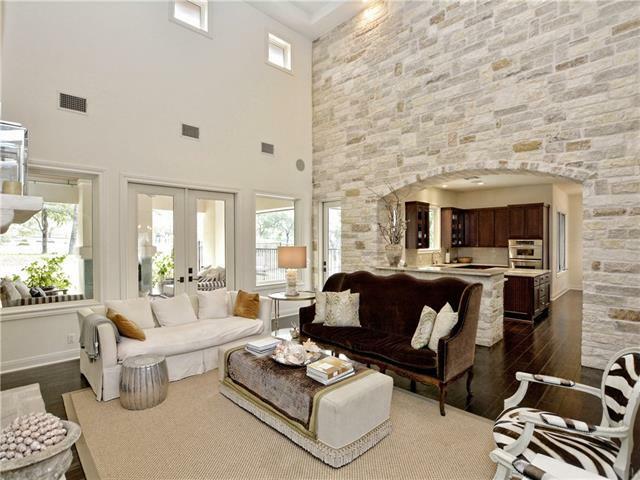 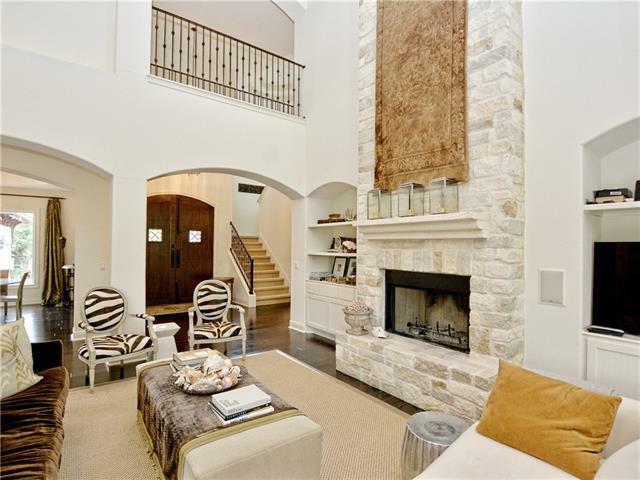 Cathedral ceilings inside with floor-to-ceiling stone fireplace. 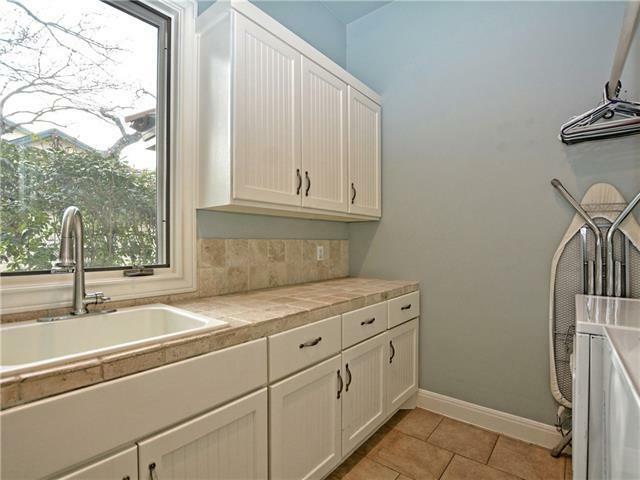 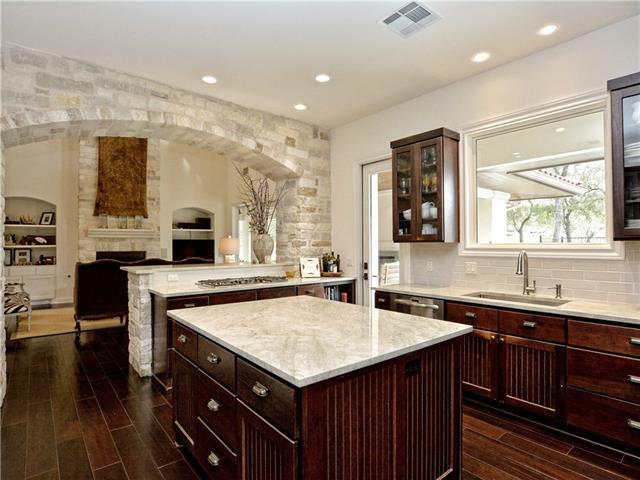 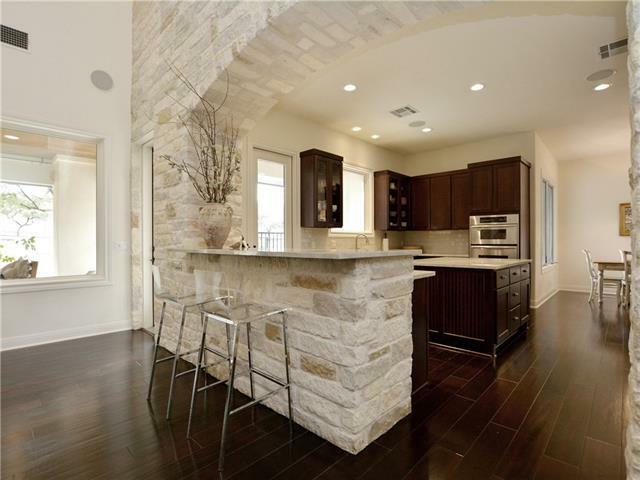 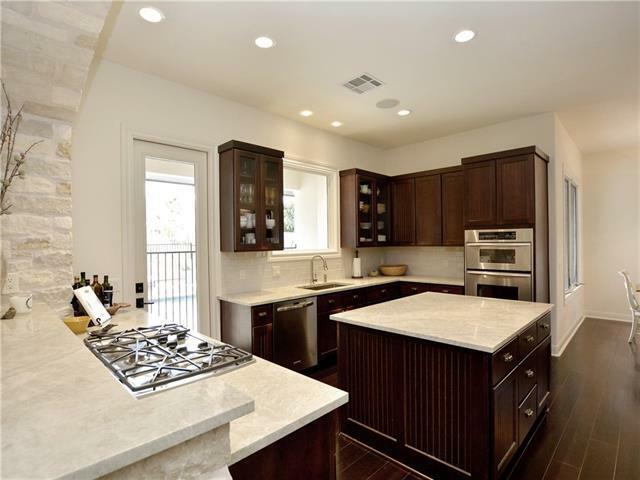 Open Kitchen with Quartz counters, farm sink & floor-to-ceiling stone border wall. 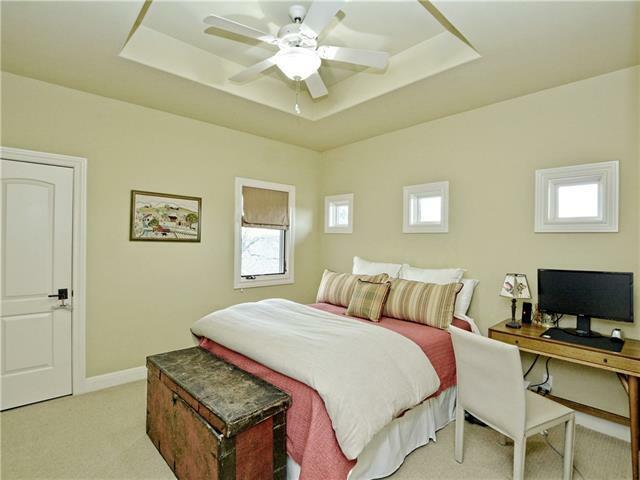 Master+Guest Suite downstairs with 2 more Bedrooms up. Large Game Room up, as well as an Office.